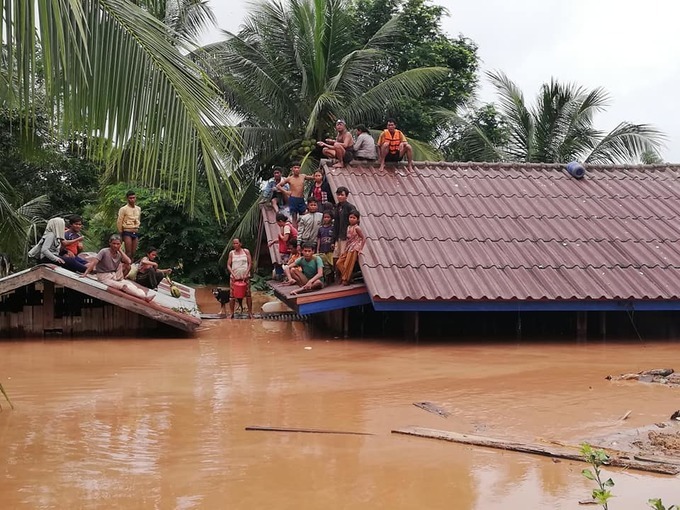 People sit on the roofs of what used to be their houses after a partly-constructed hydropower dam in southeast Laos collapsed and sent flash floods surging through six villages. Photo from Facebook page of Attapeu Today. Hundreds of people are missing and an unknown number believed dead after a partly-constructed hydropower dam in southeast Laos collapsed. 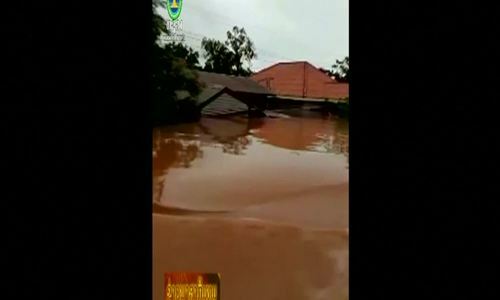 The incident has sent flash floods surging through six villages, state media reported Tuesday. 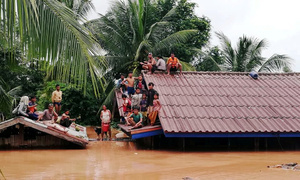 Laos News Agency said the accident happened at a hydropower dam in southeastern Attapeu province's Sanamxay district late Monday, releasing five billion cubic metres of water -- more than two million Olympic swimming pools -- which unleashed flash flooding coursing into nearby villages. The report added that there were "several human lives claimed, and several hundreds of people missing." Images published in the report showed scores of people, some clutching young children, crammed onto low-slung wooden boats and wading through muddy waters. Several houses in the southern part of the district were swept away following the dam's collapse around 8 p.m. (1300 GMT) on Monday evening, the report said, as officials in the province put out a call for relief aid for flood victims. "We do not have any formal information yet about any casualties or how many are missing," an Attapeu official told AFP on condition of anonymity, adding that was "no phone signal" in the flooded region. The 410 megawatt capacity dam was supposed to start commercial operations by 2019, according to the venture's website. The project consists of a series of dams over the Houay Makchanh, the Xe-Namnoy and the Xe-Pian rivers in neighbouring Champasak Province. When contacted by phone in Laos' capital Vientiane a company official told AFP: "We do not have any official reports about it yet. We are gathering information." Dam projects in Laos, mainly providing power to neighbouring countries, have long been controversial with fears over environmental damage and the impact on communities who are often displaced to make way for the construction. A massive hydroelectric project at Xayaburi, led by Thai group CH Karnchang, is at the heart of Laos' plan to become "the battery of Southeast Asia." The 1,285 megawatt dam -- which will cost $3.5 billion according to state media -- has sharply divided downstream Mekong nations like Vietnam and Cambodia who worry it will disrupt vital ecosystems and their own river systems. 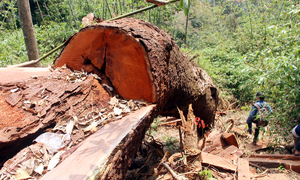 Authorities in Laos keep tight control information and is often opaque about business deals and development projects. The country has around 10 dams in operation, 10 to 20 under construction, and dozens more in planning stages. 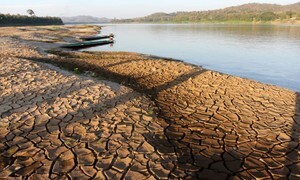 "Once they cast themselves as the battery of Asia, exporting electricity became one of the major revenue sources, so it's basically selling natural resources such as water," Toshiyuki Doi, Senior Advisor at Mekong Watch, told AFP, adding he was not aware of a dam collapse. Occasionally reports of accidents do emerge. Two Vietnamese were killed when a scaffold collapsed at the construction site of a hydropower project in Laos last January.